Artist Rolf Sachs has never been one been one to shy away from a project, with the breadth of his practice spanning sculpture, installation, opera set design, lighting and architecture. The Swiss-born, London-based polymath also happens to be an avid photographer, which made his recent collaboration with Leica on a limited-edition camera a natural pairing. Sachs’ penchant for reimagining everyday objects in surprising contexts is reflected in the offbeat accessories set. A thick, woven-cotton shoulder strap recalls mountain climbing rope; a wooden toothbrush is designed to clean the camera’s bright red rubber grip; while a natural goat-hair cleaning brush is fashioned after a traditional staubpinsel. Sold with a Leica SF 40 flash, the M-System rangefinder comes in a matt-black finish with scarlet engravings and encased in the same specialist rubber found on table tennis racquets – a sly nod to a prior ping pong-inspired artwork by Sachs. The special-edition Leica camera coincides with the launch of Sachs’ new monograph, Camera in Motion: From Chur to Tirano, published by Berlin firm Kehrer Verlag and including texts by Helen Chislett and Bill Kouwenhoven. 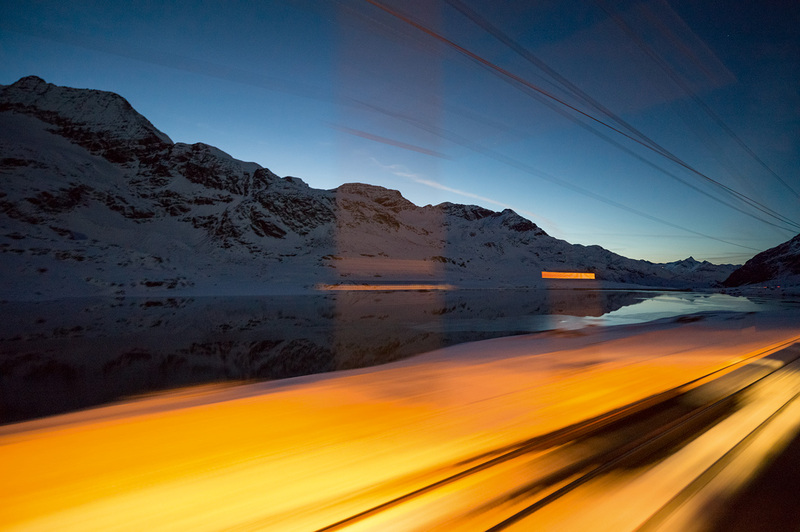 The images were captured over the space of a year from a moving train, as Sachs traversed the UNESCO World Heritage Rhaetian Albula/Bernina railway line on a whistle-stop tour. The UNESCO route spans 122km from Thusis to Tirano, encompassing some 196 bridges, 55 tunnels and 20 towns along its tracks. Blurring abstraction and photorealism, the artist lends the region’s ruggedly romantic landscapes an ethereal quality.